Born in 1971, Seoul. 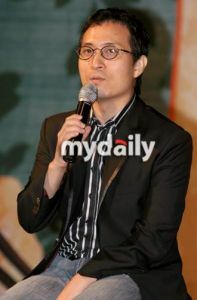 JEON was assistant director in the box office hit films < The Gingko Bed >(1996) and < Shiri >(1998) directed by Kang Je-gyu. His graduate short film “Goodbye Seoul Shinpa” won an Award of Excellence at the 3rd Shinyoung Media Arts Festival and Special July Prize, Best Screenplay and Best Music at the 10th Korea Original Short Film Festival. He debuted with < Besame Mucho > in 2001, and his second feature < My Girl and I > starring SONG Hye-kyo & CHA Tae-hyeon attracted special attention. [HanCinema's Film Review] "Portrait of a Beauty"